A woman living in Sydney’s inner western suburbs is aiming for grid independence. She has taken the first steps towards this goal by upgrading existing solar panels and adding a 7 kWh home battery. Gayle Adams bought the $18,000 system through the Inner West Community Energy group. She has calculated that the 5.6 kW solar installation will pay for itself in five years and the battery around ten years. Residents like Adams are increasingly seeking help from solar power as electricity prices remain high. Adams lives in Dulwich Hill in Sydney’s inner west. As reported in the Sydney Morning Herald, she was spurred to upgrading existing solar panels by the Coalition’s lack of a coherent energy policy. Solar installations lower power bills and gives energy independence. 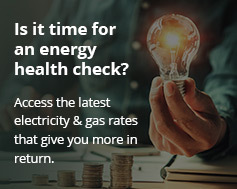 Prime Minister Scott Morrison discarded the Coalition’s National Energy Guarantee (NEG) policy after he deposed Malcolm Turnbull in September. So far, no alternative national policy has been put forward. The Coalition also failed to get its ‘big stick’ legislation through Parliament earlier this month which would give the government powers over industry energy investment. Meanwhile, the ‘Solar Trends Report for Solar Citizens’ concludes that solar is an excellent investment for virtually all Australian households. 6 per cent of all stand-alone houses in Australia have solar panels. Queensland and South Australia lead with more than 30 per cent of houses having solar installations. Residential solar accounts for 61 per cent of Australia’s installed PV capacity. Distributed solar generated around 3 per cent of Australia’s total electricity consumption in the year up to August 2018. The report also found that most households with solar panels would recoup that investment in around 3-7 years. In addition, it shows electricity from rooftop solar jumped by a third in the past year to 8,900 GWh. This is close to the annual output from the Liddell coal-fired power station in NSW. According to Australian Photovoltaic Institute chair Renate Egan, the Federal Government’s lack of energy policy has “caused the [solar] industry to grow”. People now want more energy autonomy and grid independence. They also want lower power bills. As a result, they are installing solar battery systems often through community and solar bulk-buy community groups. Meanwhile, federal Labor has pledged a renewable energy target of 50 per cent by 2030 if it wins power in next year’s general election. A Labor Government would also introduce a $200 million solar battery rebate program for 100,000 households.